In a city with rapidly expanding culinary horizons, there lies many a neighborhood which is symbolic of bygone times, where social, religious and culinary norms are defined by the population that lives and works there. We still cling, with nostalgia, to some of these culinary treasures, such as Irani cafes in parts of South Bombay, or the ravenous meat feasts in the traditional Muslim bazaars around Mohammed Ali Road. 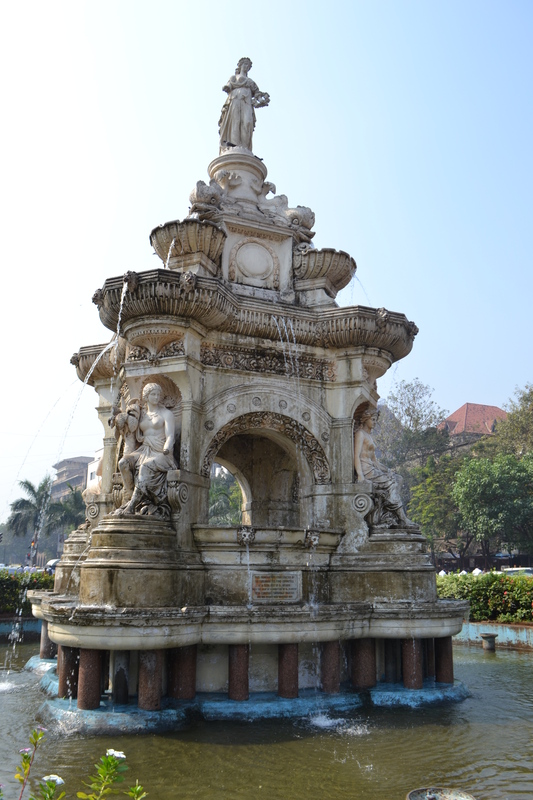 Girgaum (or Girgaon) is one of these forgotten neighborhoods, that doesn’t seem to be on any heritage trail or foodie wall, and yet its most poignant legacy is that it is one the most culturally and ethnically diverse areas in Bombay. So when Sabera Kapasi asked me for a food walk, I couldn’t help but think of Girgaum as one of the first neighborhoods to explore. In what was formerly outside the walled city (Fort), in the late 19th century, Girgaum was settled by the Portuguese converts sharing doors with the local koli fishermen who already lived there. 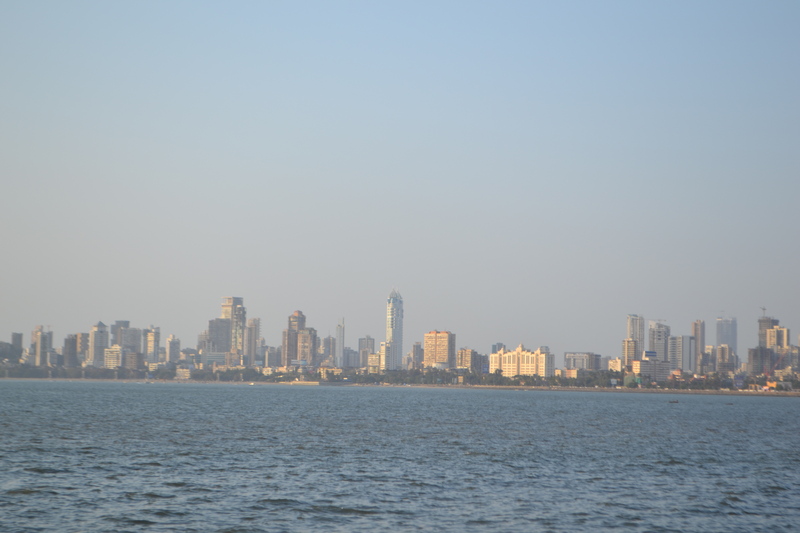 Many businessmen, including Gujaratis, Jains, Parsis and Marwaris, as well as various Maharashtrian and Konkani communities settled here over time, and have left their indelible mark over the area. Girgaum is quite closely associated with India’s independence movement; the festival most dear to Mumbaikars – Ganesh Chaturthi – was started at a chawl in this area, by one of India’s leading founders Lokmanya Tilak, as a way to unite citizens against the British rule and instill nationalistic fervor. Post independence, the area was settled by Gujaratis, making the southeast corner of Girgaum (Thakurdwar-Kalbadevi) the premier “gujju” hub in the city. This hodge-podge of cultures made this the perfect place for our culinary exploration. We start our tour with a plate of jalebi, fafra and papaya chutney (or papaya nu athanu) at Pancharatna jalebi house (in the bylane behind what was once Roxy theater). This shop is right at the entrance of Mumbai’s diamond market, dominated by Gujarati businessmen, many from the city of Surat, Gujarat (part of Kutch region). 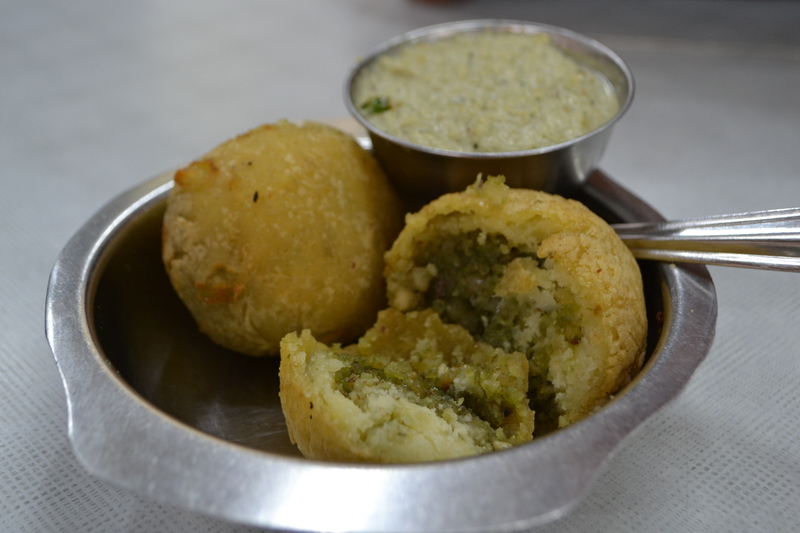 This explains how this quintessential Surti snack combination of sweet, spicy, savory and sour flavors, made it big in a city that still loves its vada-pav and kheema-pao for breakfast. Growing up, I’ve been on multiple tours of Kutch and the first thing we’d long for at the end of an overnight train journey from Bombay was this umami-inducing combination with hot chai. The reason Pancharatna excels, is the turnout is big enough for them to be doling out fresh batches of Jalebis during breakfast time (8AM-10.30AM). 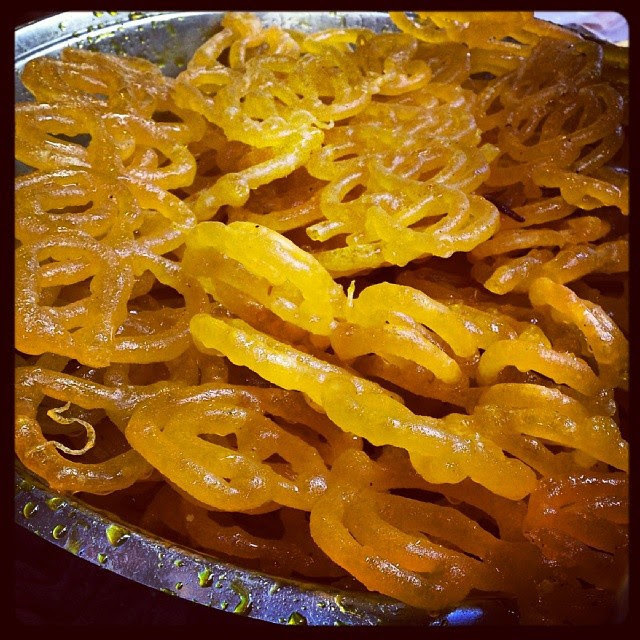 When we had them, they were crisp yet dripping with syrup and with a saffron hue about them. It is pure bliss when it hits your mouth! 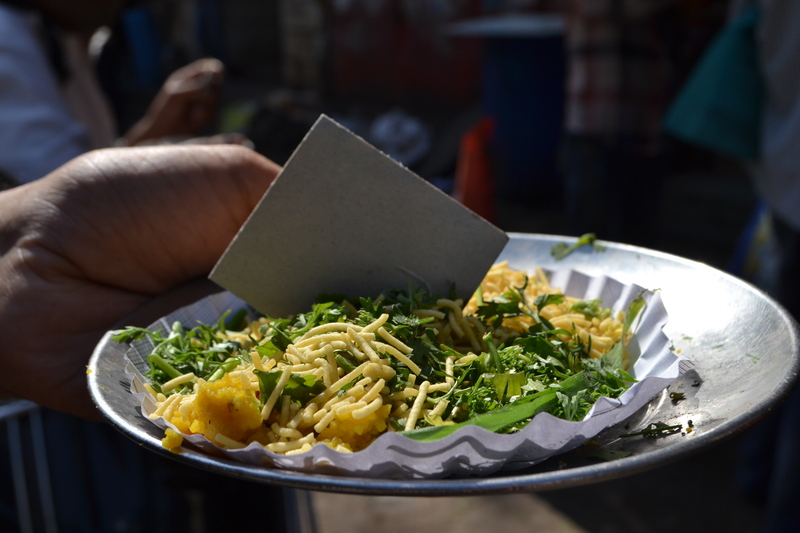 Next stop is the savory Surti (as being from Surat) – sev khamani – around the corner. The guy who runs the little shop, operates out of a small table stand with a plastic cover. Non-gujaratis are usually surprised at how simple the dish is. It is made with fresh khaman – a snack made using chickpea flour – pulverized by hand into a breadcrumb like consistency and then tossed up with fresh garlic, coriander and topped with sev – fried chickpea flour strands. The result is velvety soft khaman with crunchy bits of sev and a freshness imparted from a dash of nimbu(lime) and coriander leaves. For Rs. 5 (as of Feb 2014) , it’s a working man’s breakfast and yet another “perfect-with-chai” dish. Having had the real deal in Surat, I’d say this comes pretty close. We leave the surti khamani guy and walk past Central cinema entering the crossroad that is dominated by the St. Teresa’s Portuguese church. 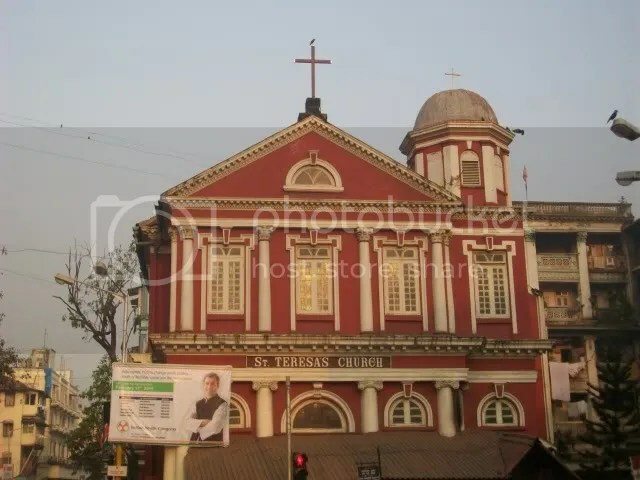 The fascinating red colored church which is supposed to have an awesome interior (never been inside despite having lived close to it for most of my life), was once the focal point of Girgaum chowpatty, since that is where the beach originally was. Heading right into the main road through Thakurdwar, we enter Panshikar Upwas gruh. For those unfamiliar with the Upwas (fasting) concept, its a day of self-control to honor the god you wish to please/pray to as a means of offering to them. Upwas dishes form a cuisine in and of itself. Followed by most Hindus, each day marks devotion to the god associated to it. The day we went on was Monday, which is the day of the fast for Lord Shiva. 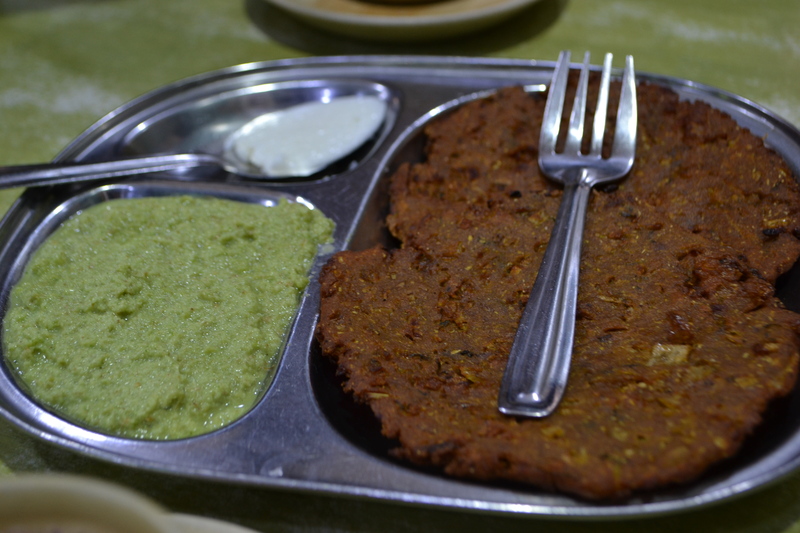 Panshikar specialises in Maharashtrian upvas cuisine. Over the years, I’ve had some amazing farali patties in the area and these, it turns out aren’t the best but the second best. When done correctly, they should have a crunchy-sweet-spicy inner filing from the cashews, peanuts and raisins. This stuffing is covered in a nice crusty potato envelope and is most likely served with a spicy green chutney. Panshikar has a lot of other upvas favorites that should definitely not be missed, including the piyush (a cross breed between lassi and Amul spiced milk ), the farali misal and sabudana khichdi (a dish made with tapioca pearls). Next stop is Bi-Tambe, or atleast that’s what is used to be called until it got bought over by its current owners (now Sujata Uphar Gruh). This place has the reputation of being the oldest continuously operated restaurant in south Bombay – and by most accounts, has been operational for 200 years. It certainly doesn’t beat Casa Botin in Madrid, but for a culture that did not dine out until very recently, they have managed to stay in business and done a good job at it. Growing up, this used to be the go-to destination for Thaalipeeth with fresh loni (fresh white hand-churned butter). Thaalipeeth is paratha-like, but made from a unique, multi-grain flour blend that gives it that yummy crunchy texture. Bi-Tambe’s version is heavy on cumin-coriander-onion and comes with heaps of butter that is mandatory with this treat. Being a uphar-gruh (lunch house), their main focus is lunch thaalis (plates), with mains that change daily. 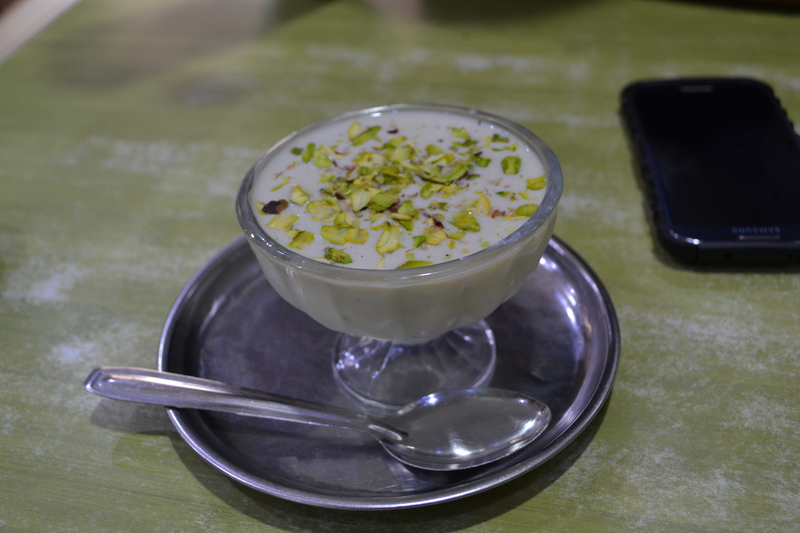 To end this awesome food walk, I had to convince Sabera to share a Sitafal basundi. Since both of us are expats living in the States, the one fruit we miss more than anything else is Sitafal-or custard apple. In the 90s, the number one dessert on people’s minds was the Sitafal Cream sold at Noorani cafe in Haji Ali. These guys have taken that dish and morphed it into a fusion basundi topped with pistachios … Heaven! Eager to learn more about Mumbai’s forgotten neighborhoods? Click here for a very well-written article on Girgaum by CNN.